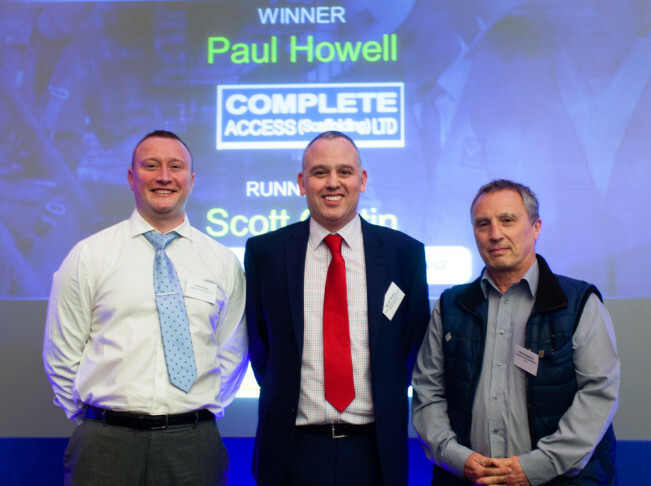 The NASC has announced the results of its Apprentice of the Year 2016 Award at its Annual General Meeting in Leeds on Friday November 27th – with Paul Howell of Complete Access winning, and Scott Curtin of Connect Scaffolding named as runner-up. Paul, 28, will be presented with a trophy and a cash prize of £500 by NASC Training Manager and CISRS Scheme Manager Dave Mosley imminently, whilst the apprentice’s employer Complete Access will also receive a trophy and £500 – to be spent on scaffolding training with a CISRS approved training provider. Now in its second year, the Construction Industry Training Board (CITB) and Construction Industry Scaffolders Record Scheme (CISRS)-sponsored NASC Apprentice of the Year scheme is aimed at individuals who are directly employed by an NASC Member company and are either part way through a formal scaffolding apprenticeship with an approved CISRS provider, or alternatively have successfully completed the apprenticeship programme in 2015. And this year saw a raft of good entries from the confederation’s 200+ full contracting member companies. The NASC’s biennial Health & Safety Awards winners have been announced at the confederation’s AGM in Leeds on Friday November 27th. In a fully-loaded 2015 AGM agenda – which included the launch of the updated SG4:15 Safety Guidance, Apprentice of the Year Awards and the swearing in of a new President, Alan Lilley (Commercial Scaffolding Ltd) – the NASC 2015 Health and Safety Award winners and runners-up were unveiled and presented with trophies and certificates. Winners in the larger company (101+ employees) category were Interserve Industrial Services, with Wood Group Industrial Services Ltd ’Highly Commended’ runners-up. And Denholm Industrial Services took the award in the smaller company (1-100 employees) category, with Connect Scaffolding Ltd ‘Highly Commended’ runners-up. 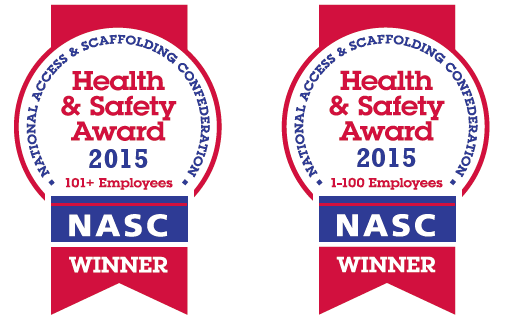 In addition to the winners being presented with a trophy and a certificate at the AGM by new President Alan Lilley, the companies are also entitled to use a bespoke NASC 2015 Health and Safety Award (Winners or Highly Commended) logo on their corporate literature and company website, for a period of two years. For details about becoming an NASC member and to find out more about the latest SG4:15 ‘Preventing Falls in Scaffolding Operations’ Safety Guidance notes, the TG20:13 full suite and the NASC – the UK scaffolding industry trade body – please visit www.nasc.org.uk or email: enquiries@nasc.org.uk.